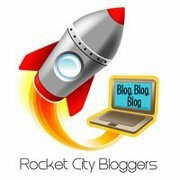 This month, the Rocket City Bloggers wrote about their passions. The topic was hosted by Bo Williams and the posts touched on fashion, writing, all things Disney, and a couple of awesome husbands (mine included!). Go check them out!